Sales Of New Homes Hit Fastest Pace In 2 1/2 years : The Two-Way The pace of sales was up 5.7 percent in September vs. August, and was 27.1 percent higher than in September 2011. Today's news is further evidence that the housing sector is on the rebound. A sign of the times at a building site in Ohio earlier this year. 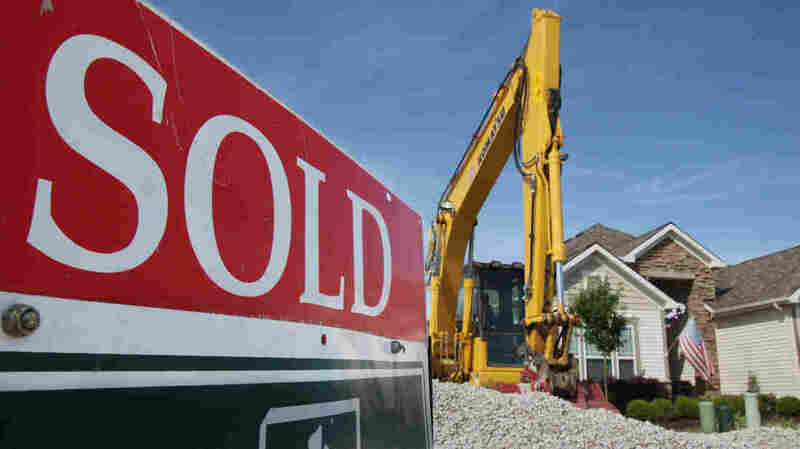 Sales of new single-family homes rose 5.7 percent in September from August and at an annual rate of 389,000 hit the fastest pace since April 2010, the Census Bureau and the Department of Housing and Urban Development say. Sales were up 27.1 percent from September 2011. Reuters calls the news "further evidence the housing market recovery is gaining steam."